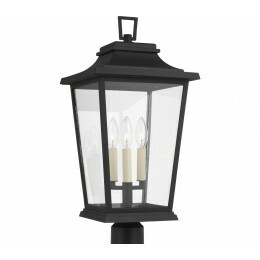 The Feiss Warren three light outdoor post top in Textured Black creates a warm and inviting welcome presentation for your home's exterior. 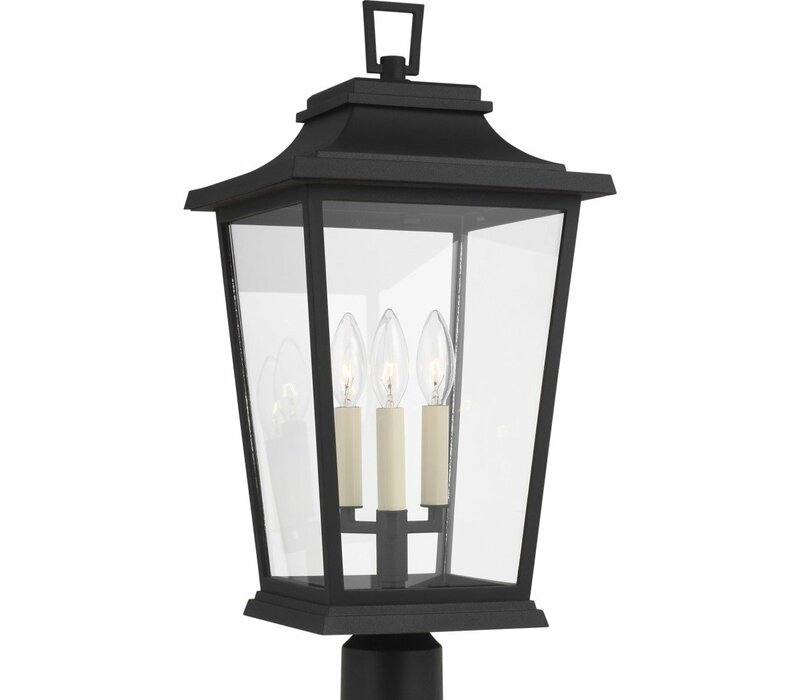 A subtle interplay of traditional design elements contributes to the charming aesthetic of the Warren outdoor family. The clear glass paired with the Textured Black StoneStrong completes the look.